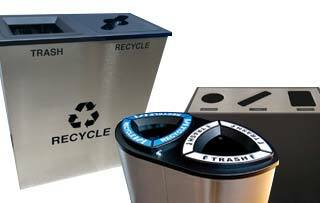 The Uptown Recycling Stations rotationally molded design adds durability, making ideal for high-traffic areas. 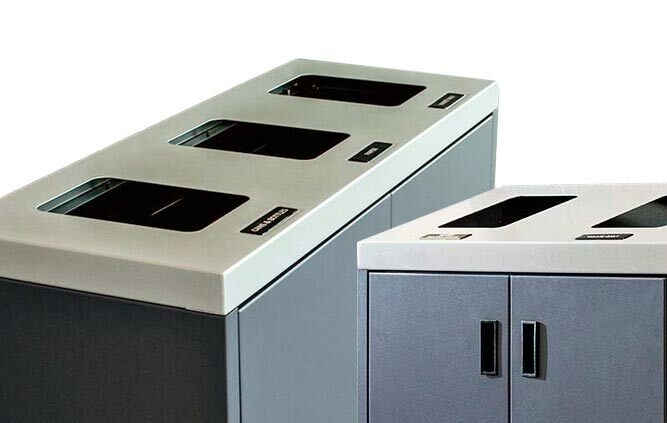 With an angled top to prevent rainwater build up and leftover waste on the unit, these recycling stations are an ideal choice for any outdoor recycling. All Uptown Recycling Stations feature lockable front door(s) to ensure easy front service access. Also, its built-in deflectors will ensure your waste is sorted.